What Goes Into An HVAC Tune-Up? It is vital that your HVAC system gets a regular tune-up once in a while. Such a tune-up will help you identify what is happening within your system so it becomes easier for you to get problems inside of it fixed in a timely fashion. But to make it all work, you have to see what goes into such a service. A cleaning process is needed in the tune-up process. All your condenser coils could develop issues from debris and dirt among other compounds. It is easier for these coils to work when they are fully cleaned out. The coolant inside your HVAC system can be reviewed as well. Sometimes new coolant materials might have to be added just to allow your system to stay functional and active without being harder to handle than necessary. The thermostat in your HVAC system should be reviewed in the tune-up process. A thermostat should be checked carefully to ensure it reads the temperature in your area accurately and with care. The thermostat analysis process will often entail a review of how it responds to temperature changes. It can review how well the temperature changes to give you a clear idea of any problems in your system. The ducts inside your HVAC system have to be checked during the tune-up process. The ducts will have to be reviewed based on factors like how well air moves through and if there are dust or other materials inside of them. A review can help with identifying if there are any problems in a space. This is to ensure that such ducts are cleared out and are easy to handle within your home. The motor used in your HVAC system has to be analyzed well. The motor can include a good design that allows air to move through your system with ease. But the motor must especially be tested to see that there are no problems with air going through in any manner. A blower belt is needed for ensuring that your HVAC system works well. This is needed for keeping the blower system functional and active. You have to get this part of the system cleaned out and fixed up to ensure that it will stay operational and not struggle with added pressure. In some cases, the review might find that the belt is worn out and that it needs to be replaced altogether. An HVAC tune-up is important to review as you need to ensure that any problems in your HVAC system are resolved as soon as possible. Such a setup will ensure that you have a great system in your home that will stay functional and not struggle with keeping everyone inside your home comfortable. Your HVAC system comes with many great parts but it is even more important for you to look at how well the thermostat on that HVAC system works. The thermostat is needed to ensure that you can keep the temperature inside your system comfortable. With a great thermostat, you will have more control over how powerful your HVAC system is run while ensuring the temperature reads out evenly. A proper connection has to be utilized on your thermostat to ensure it works well. Many of today’s HVAC systems work with traditional programmable thermostats that can work at certain times of the day. That is, they can move to certain settings at morning or night depending on what you enter in. But Wi-Fi thermostats are becoming rather popular. These work without wires and will connect to your main HVAC system. They can also be controlled by mobile devices that offer extended readouts listing how effective they are and how they can be controlled. Many smart thermostats can be utilized. This is a type of thermostat that can trigger certain temperatures based on the light in an area, how many people are in a room and what the weather is like outside. Such a smart thermostat can respond quite well but it helps to see what can be used to ensure that this is not much of a problem to utilize. Be certain to see how well one of these thermostats can do for your needs. How Does It Work in Certain Spots? A thermostat should not only be easy to program but also capable of linking to certain rooms. You can get one thermostat to target a particular room or floor in your home and a second or third for a different spot. Whatever the case is, all thermostats in your home must be capable of working evenly and carefully without struggling to produce enough heat or cool air. You could even get individual thermostats set up in particular rooms where the climate absolutely has to be separate from everything else. This could entail a separate thermostat in a wine cellar, nursery or other spots in your home. An HVAC system can be programmed to work with as many of these thermostats as needed. Make sure you get a proper review of your HVAC system on occasion to see how well the thermostat is working. A test may be used to see how responsive your thermostat is. It might have to be recalibrated depending on what the test reviews. You must get a proper test going to ensure that any problems within your thermostat are resolved as soon as possible. Your thermostat is a very important part of your HVAC system that needs to be treated right. Be certain when getting your thermostat ready that you have something that responds well and is easy to utilize. A video inspection can be useful when you need help with getting a plumbing line in your home analyzed and cleaned out properly. A video inspection will work to review what is keeping a line from staying healthy but it must especially include several points to keep the inspection process working well. A video inspection should include a full electronic analysis of the specific spot where something troubling may be found in your plumbing system. The inspection can include a review of something like a clog or a dislodged section of a pipe. But whatever the problem might be, your video inspection should include a full analysis where the issue might be. An electronic review could include information on how deep the issue is and how many feet or inches it is within a pipe. This may be used for sensors or a measurement of whatever is being inserted into the plumbing line. Whatever it may be, it is critical to see how deep the issue might be so it becomes easier for the problem to be fixed as soon as possible. The type of clog or issue impacting your plumbing line must be fixed as soon as possible. The problem with so many clogs is that they all require different cleaning compounds. A high-resolution readout must be used in the video inspection to get a clear idea of what is inside a system. This ensures that it will be easy for a problem to be fixed up and treated right. What About Items Moving Through? Sometimes a plumbing video inspection can include a review of how items might move through your plumbing system. A video review can help you with identifying problems relating to the way how the plumbing system is treated. The analysis that comes with a video inspection can help you to identify anything that moves through and if there is a certain space that might have to be treated in particular. Sometimes a clog or other issue might be on the bottom part of a pipe while in other cases it could be at the top. This helps with getting a clear idea of how a treatment should be utilized and what can be handled to keep additional problems from being a serious threat to your plumbing system. Your video inspection for your plumbing line should be handled carefully and clearly to ensure that there any problems that may be found are resolved well. A great inspection process will ensure that any problems within your system are fixed properly and with care. Be sure to contact a plumber for helping with getting your system analyzed with a full video review so you can get a clear idea of what the issue in a system might be. You have probably heard various advertisements over the years about liquid drain cleaners and how they can help to clean out clogs in your plumbing system. These cleaners sound like the perfect solutions for taking care of your plumbing issues but the truth is that they are actually dangerous. They could do more to harm spaces around your home than actually help. Therefore, you need to watch for how well you are getting support from a talented plumber. One major reason why liquid drain cleaners are harmful comes from how they contain dangerous acids. These include muriatic and sulfuric acids. Such acids can cause organic wastes inside your pipes to break down. But even more importantly, they can cause some of the materials in the pipes themselves to weaken and break down. They can weaken your plumbing system after a while. Caustic base acids like bleach or lye may be used in some of these products too. These can produce difficult fumes and continue to weaken your plumbing system. Many of these liquid plumbing cleaners can also be dangerous to your health. They often contain harmful chemicals that can irritate your skin and produce odors that are dangerous to your body when inhaled. They may cause breathing difficulties in many cases. Liquid cleaners can also harm the surfaces of a tub, toilet, sink or another area that you plan on using them on. A cleaner can stain the surface or weaken its outside parts. What About Under the Floors? Sometimes you might have to take care of clogs in pipes that are under your floors. Liquid cleaners can cause pipes to weaken and impact some of the anchors and other items that might have to be treated well. This could impact your floors as they might struggle under the weight of whatever is on top of them. This is a significant threat that could harm your space if it is not handled properly. You must ensure that the spots under your floors are treated well and will not be at risk of wearing out quickly. You must get in touch with a plumber for help with handling clogs in your plumbing system. A plumber’s services are just better to hire than just using a liquid cleaner as a plumber will have the proper tools needed to resolve clogs before they can become worse. A plumber will especially work to clean out items with proper compounds based on the clogs that must be treated. More importantly, you must especially ensure that the plumbing materials are fixed up right. A plumber’s services will always help you with keeping your clogs under control. This is much better than using a liquid cleaner that might sound great but will only end up doing more harm to your plumbing solution. Heating and Air conditioning have become an essential requirement in our homes today. We should install this system to keep the temperatures at our home favorable and conducive. However, to ensure that these systems work efficiently one needs to understand how they operate and what their components are. The weather changes drastically over the year. During summer the temperature tends to be too hot and very cold during winter. With HVAC systems you can be able to maintain the temperatures to accommodating levels. These are some of the components that are inbuilt in the HVAC systems that you need to know to help you manage your systems to avoid costly breakdowns that may happen from time to time. The furnace is one of the main components of the HVAC system. It helps with electricity or fuel into useful heat. It’s usually situated at the bottom of the system to enable warming of the air that passes through it. The air that is warmed and passed through the pipes duct into the rooms that you want to heat. The heat exchanger is positioned just next to the furnace. It’s made up of the metal steel plate. Its main function is to transfer the heat within the system. After the burner is turned on it converts the electric energy into heat. Afterwards, it passes the warm air to flow through it. The main work of the evaporator coil is to create the cooling factor of the system. It is positioned next to the furnace. When the AC is on and running, the evaporator condenses the air from the outdoor and absorbs the heat from the air. The cooler condenses the humidity from the air and makes it cooler and directs it down to the ducts and into the rooms. The condensing unit is usually fitted outside the home. It is insulated with aluminum foils. The cooler air from the outside is cooled by the evaporator coil and flows it out of the compressor unit. Cool air from the refrigerator turns into the liquid, and it is condensed to increase the pressure from the outside unit and into to ducts directing it into the rooms. These refer to the aluminum tubes that dispatch refrigerant from the outside condensing unit to the indoor built evaporating coils. These lines ensure that the cool air is passed to the right indoor destination. These ducts are also made up of metal sheets and fiberglass which usually appears to look like wired frames. They are cooled through the houses ceiling or the walls to pass the cool or heated air from the furnace or the air conditioner. These refer to the points which allow air into the rooms. They are usually connected to the floors or walls and sometimes in ceilings. Supply registers deliver cool or warm air while the return vents draw air in the room back to the home HVAC system for it to be re-cooled or re-heated. There are common plumbing problems that will spring up in your home anytime. Some of these problems are quite easy to fix if you have a few essential tools. It’s important to have these tools at home to help you fix minor plumbing emergencies. Many times, you’ll experience a clogged toilet, slow draining sink or low water pressure. If you’re the handy type of person, you can tackle small repairs in your house such as unclogging your toilet or changing a worn-out washer. However, bigger and complicated plumbing repair work should be done by professional plumbers. Remember, even a thorough plumbing inspections cannot prevent occasional leak or clog, especially in older homes. Most of these common plumbing issues equally require common solutions. When you experience low water pressure, the problem could be the sink faucet. Start by checking whether this problem is affecting both the cold and hot water. If the low water pressure persists in both hot and cold water, then the main cause could be the aerator. The culprit is the calcium deposits that slowly build up inside the faucet aerator. A blocked aerator is an easy thing to fix by cleaning out the debris that builds on it. In case you notice the low water pressure soon after cleaning the aerator and shower head, the problem might be more complex. Call a qualified plumber to fix this problem for you. Whether its stopped-up toilet, sink or tub draining slowly, every homeowner will experience these plumbing problems. More often these plumbing issues are caused by a collection of debris over the time. The problem could be a partial or complete clog. Shine a flashlight inside the drain to check if you can spot any problem. You can use a plunger to fix the problem. This is a very important tool to have in your home. A plunger is designed to use air pressure to dislodge any debris causing a clog. If you’re dealing this problem more frequently, then it’s time to seek help from a professional plumber. Are you tired of jiggling your toilet handle after flashing? Well, maybe it’s time to replace some of its inner workings. A toilet will run when a defective flapper valve allows the water to pass from its tank to the bowl. Other causes might be an imbalanced float or loose fill tube. With a toilet repair kit, you’ll require a little effort to fix the problem. Occasionally, a toilet can run due to other complex reasons. In case you have replaced the float apparatus, flapper, and fill tube, and the problem persists then do not hesitate to call for help. Can I Install an HVAC System By Myself? Your reliable HVAC will eventually have to be replaced, as it will die out altogether or become too inefficient. Installing an HVAC is something that should only be attempted by a licensed HVAC professional. This is not a job for even the most ambitious do-it-yourselfer. This installation requires considerable knowledge of electrical work, sheet metal work, and some plumbing work. Installing a new furnace is a somewhat complicated process, and only licensed Dallas Plumbing Company professionals. If you are switching from an electric furnace to a gas furnace (or vice versa), the project is even more complicated. Dallas Plumbing Company technicians undergo rigorous training after completing their Associates Degree and are trained to handle any contingency that comes up during the installation process. All gas and electrical must be turned completely off before any work is started. Leaving power or gas to the furnace unit on while uninstalling it is extremely dangerous and is not recommended under any circumstances. Once the utilities are turned off, it is safe to remove the old furnace. All gas supplies and wires need to be disconnected, and ductwork and vent pipes should be detached and removed. The Dallas Plumbing Company professional who removes your HVAC will be wearing gloves and protective gear to avoid any injuries. If your existing furnace is connected to your AC unit, the connection will also have to be disassembled. Once the unit has been completely dismantled, and all the screws have been taken out of the base, the old furnace can be hauled out and recycled or discarded properly. The next step for the technician will be to thoroughly clean the area where the new furnace will be installed. If there is any dust in the area, it must be vacuumed up. You don’t want to spend all that money on a new furnace just to let it be contaminated with dust when you have it installed. Once the area is entirely free of dust and debris, it is time for the technician to start installing your new unit. The pipes, wires, and ductwork will be connected to the new furnace. After that, the technician will connect the thermostat and turn the gas and power supplies back on. Now the technician can test the system and check the ductwork for leaks. If you’re having a gas furnace installed it must also have all the gas supply lines inspected for leaks. All connections, even those to the AC unit must be checked. The system itself must also be carefully examined for carbon monoxide leaks and other gas emissions, which again, is something that must be done by an HVAC professional, as it requires specialized knowledge and equipment. As a homeowner, you should choose what type of furnace will best suit your needs. Once you select your unit, the rest should be left up to the pros. Removing your old HVAC and installing the new one is a big, dangerous job, and there are a countless number of ways it can result in serious injuries or expensive repairs. HVAC systems are important in making a house more habitable. In the computing industry, they are used to control the temperature in rooms where many computing devices are used such as server rooms. Whether being used in the commercial or residential setting, it is important to make sure that you purchase the right equipment that will suit your needs and still be effective. This is an obvious factor that we apply when buying appliances in our homes and offices. It aims at making sure that we use the money well. But we should also consider the effectiveness of what you are buying. Because you have a small budget allocated to HVAC equipment, does not mean you necessarily buy low capacity equipment whereas you need a heavy-duty HVAC system for your room. Therefore, the budget should be considered, but you need to first know what you need to get the right budget. For recommendations, you can talk to us through Dallasplumbing.com. Never assume that any HVAC equipment will be suitable for your room. The size matters of course and in this case, it is the size of your room. 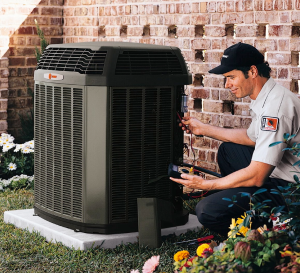 Therefore, you should make sure that you get the size right and talk to your HVAC provider so that you get advice on the right capacity of HVAC that you should go for. Most companies will go to HVAC suppliers and shop for the equipment like they do with stationery, and at the end of the day the equipment cannot serve them for long or in short it blows up because of overuse. Avoid this by making sure you contact a certified consultant to advise you on the right equipment. Electricity bill is one among your home bills that you never like to hear about, and you would wish to avoid it completely. But how would you do this? Well, you can go for alternative sources of power like solar which are eco-friendlier. At the same time as you save on power bills, you are preserving the environment in a thousand ways. Consult a specialist to advise on the right equipment that suits your use to avoid buying what you don’t need. Sometimes most clients end up buying high capacity heating system whereas they can buy lower capacity and still meet the expectation while conserving the environment. Avoid paying more by preferring solar-powered HVAC systems and consult a specialist to advise you on what you need. HVAC systems are sold by different manufacturers, and only an experienced dealer can advise on the best. Secondly, you should confirm availability of spare parts and someone who can repair your HVAC system in case it is damaged. Choosing the right plumbing services for your property is of utmost importance. You should be sure of the high-quality services they provide, as well as their reliability and accessibility at all times. However, how can you be certain of your choice? Which are the things you need to look for when picking a plumber? First of all, you need to make sure that the plumbing service you turn to boasts adequate experience. Opt to seasoned professionals, who have been around for long enough to know how to handle everything. 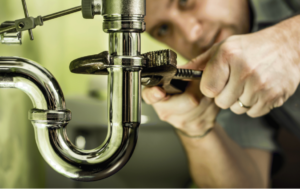 Learn How to Hire a Plumber the Right Way. Furthermore, you should check out their overall feedback. The reviews from previous customers will show you whether or not the professional plumbing services are good. If you run into a lot of complaints, you had better look elsewhere. If, however, the vast majority of reviews are positive, then you have yourself a winner! Another thing you should keep in mind is the certification and license of the plumbing company. It is imperative that you seek professional help from certified and licensed experts in the field of plumbing. Otherwise, you cannot be sure of the quality standards in the services provided. Next step for you is to specify the type of service you need. In this way, you will know whether or not the professional you are interested in hiring can live up to the task. There are several types of plumbing services and so you ought to be careful when choosing the right one for you. Finally, you should estimate the cost and evaluate the quote you receive. There are no set fees for the plumbing services, and therefore you need to discuss with the professional to reach a mutual agreement. According to the difficulty of the task and the specialized requirements, the cost will be defined. Dallas Plumbing Company has been around since 1903. With the expertise deriving from over a century of experience, they are able to handle all types of plumbing services. If you are looking for guaranteed results and you are not willing to compromise on quality or reliability, you should look no further. Ask for a quote and allow the experts evaluate your plumbing needs. They will come up with the most suitable solution, which offers the optimal outcome. After discussing with you as to the various alternatives, they will start working on your project and have it delivered to you ahead of time. If you need plumbing services of the highest quality standards in the market at the most affordable price rates, Dallas Plumbing Company has got you covered. No matter how urgent the project, they will take care of the slightest detail in a timely and efficient manner. So rather than settling for wishful thinking and just about any plumber out there, aim at the top – After all, your property deserves nothing less than that when it comes to plumbing installation, renovation or repair! When it comes to heating, ventilation, and air conditioning (HVAC), quality is the key to success. There is no room for compromise, in terms of efficiency and reliability. Otherwise, the result is bound to deteriorate the overall quality of life for those residing in the property. This is why you should be careful when choosing the best Dallas HVAC installation services. Heating, ventilation and air conditioning systems need to be properly installed, to provide maximum performance. Finding the right place where they can be installed is essential since it will allow the systems to offer 100% of their function. So, it is crucial for professionals to handle the installation, ensuring that everything runs smoothly. In line with the latest guidelines regarding the environment, a new HVAC system can offer you an eco-friendly environment, while maintaining the most efficient temperature control. This is of utmost importance since the danger of harming the planet is imminent and should be dealt with right away. Of course, it does not mean that your property (residential or commercial) should settle for less than high-quality systems. There are various Dallas HVAC installation services you can choose from, depending on the customized needs and demands of your property. After a careful inspection of your property, the experts will suggest the most suitable solutions. These solutions will not only be in accordance with the safety and efficiency standards, but they will also be cost-effective and highly durable. Benefiting from the expertise of the pros will offer you peace of mind. Instead of worrying about the result, you can sigh with relief and rest assured that the outcome will be perfect. It is true that many professionals claim to provide services that they cannot live up to. This can be frustrating and make you fall off the wagon, in case you are left behind on a deadline. However, with Dallas Plumbing Company you do not need to lose sleep. Their experience dates to 1903, making it one of the oldest and best-established companies in Dallas. Through these years, the seasoned professionals have managed to build their solid reputation, and they do their best to maintain it at the top. They will never fail you, no matter how sophisticated or elaborate your requirements are. On the contrary, they will discuss with you the most fruitful solutions that combine ease of use, efficiency, and affordability. Since Dallas HVAC installation services are complex and are often mismanaged, it is of the essence to find the right pros to lift that burden off your shoulders. You are more than welcome to ask for a quote and agree on the finest solution, whether you are interested in heating, ventilation or air conditioning systems. In the end, what matters most is that you enjoy the result with a big smile upon your face. And this is a commitment they take seriously at Dallas Plumbing Company.